A good gaming mouse makes gaming worth the while. 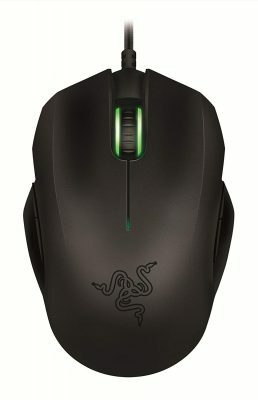 Some important features that gamers look for in a mouse and which directly determine performance include the programmable keys which will influence customization, quality and range of laser or optical technology for precision and accuracy, design for easy and comfortable grip, as well as adjustable lighting effects. The right gaming mouse will address some undesirable problems like lagging, filtering, and acceleration. These 9 gaming mice come with advanced impressive features placing them at the top of any game. 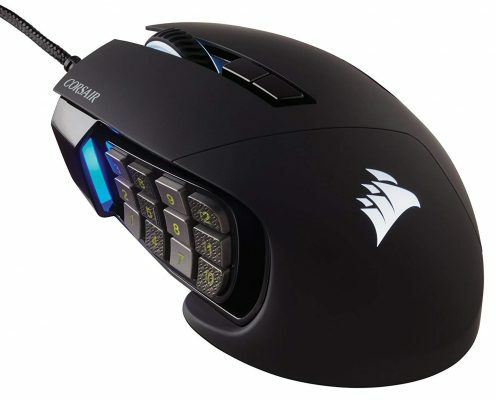 Corsair’s KATAR gaming mouse is a great addition to any gamer’s toolset. Designed for those in need of customization and on-the-go configuration options, this mouse delivers unbeatable performance. This lightweight mouse is only 85 g. It will give you not just the right fit but also the right feel and comfort in your palms. This is in addition to its ergonomic design which features textured rubber sides making it easy for both left and right-handed individuals to grip. It has been designed with an optical sensor DPI rate of up to 8000 to deliver excellent sensitivity with no acceleration especially for first-person shooter games that are all about aiming. With 1000Hz polling rate, the frustrating lag often associated with low polling rate is minimized hence unnoticeable. KATAR comes with a default pro player setting which you can make use of when there is no need for customizing your own. Otherwise, in addition to the usual right and left buttons and the scroll wheel, this mouse is designed with 4 quick-click programmable buttons to help you map some game functions to them for a fun easy gaming experience. 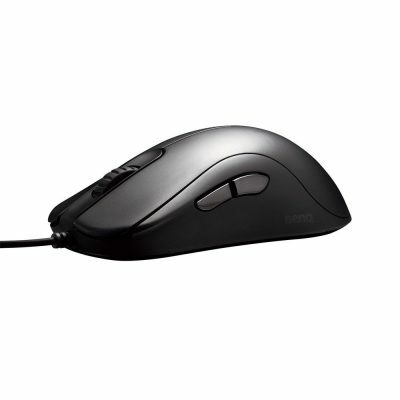 The 2-A gaming mouse is a part of BenQ Zowie EC series designed to work with 7,8,10, 2000, XP, and VISTA Windows systems as well as MAC’s X v10.2 OS. This series features some impressive comfort and operational features and the 2-A represents a remarkable improvement of its predecessors. The EC2-A’s excellent performance is rightly attributable to its high adjustability including a range of DPI settings between 400 and 3200 and an adjustable polling rate of between 125 and 1000 Hz. The ZOWIE EC2-A gaming mouse' ergonomic design suites only right-handed players though it obviously features maximum comfort. The right side of the mouse smoothly curved allowing your wrist to move with ease as your thumb grips the other side. To add to user-comfort and ease of use is the short 1.5 – 1.8 mm distance that the mouse lifts off the pad when in use. Together with the innovative AVAGO 3310 optical sensor which adjusts at 400, 800, 1600, and 3200 DPI, fine-tuning its precision to meet your specific need is a breeze. This way, you also take care of acceleration issues. Another impressive versatility feature is the adjustable polling rate. Operating with USB protocol, this gaming mouse comes with 125, 500, and 1000 Hz polling rates allowing you to reduce lagging instances as desired. It is equipped with 5 programmable buttons that let you map your game functions as well as a 16-step scroll wheel to deliver the much-needed versatility when playing a variety of games. Finally, it is ready to use out of the box. Simply plug it to your system and start using it. Scimitar Pro RGB gaming mouse takes gaming a notch higher with its advanced controls, highly customizable options, perhaps the fastest DPI rate and its revolutionary 12 programmable buttons conveniently positioned at its side. 12 programmable buttons with adjustable button positions. Scimitar Pro gaming mouse features a very fast DPI optical sensor rate of 16000 that’s highly adjustable down to the lowest 1 DPI to deliver super sensitive tracking to suit any mouse pad. It is designed with 12 programmable buttons along with its exclusive Key Slider™ macro-control system allowing you to slide the buttons within an 8mm distance and securely lock them for optimal ease of operation. In addition, the mouse is stylishly designed in a sleek rounded shape to give you a great feel on your palm while the side buttons are textured to enhance their grip. Underneath the mouse is RGB LED backlight with 4 color zones which you can map to your customized game profiles. With three preset MMO/MOBA oriented profiles and an option to customize your own profiles, there is no limit to what you can do with the Scimitar Pro. 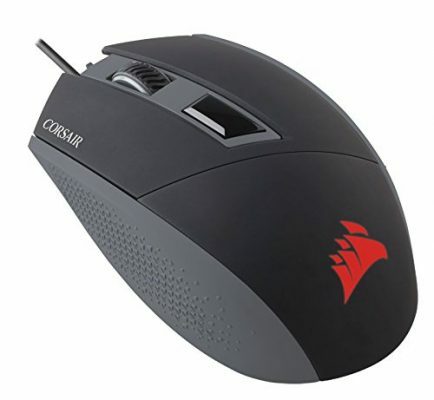 This mouse is compatible with Windows 10, 8, and 7 and uses USB protocol to connect to your PC. You, however, need to install its utility software in order to explore customization options. Here is a non-biased gaming mouse that caters for both the right and left-hand players. Aside from this, the Star Wars Special Edition features wireless technology as opposed to the ordinary USB protocol used to for PC connections, to offer you unlimited control. 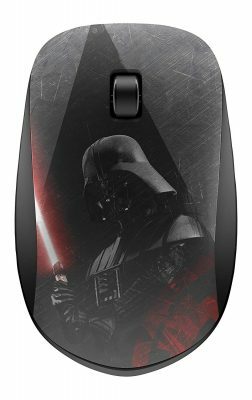 First, this mouse’s Sith-themed design is one to charm you. It is low profile with a stunningly seamless arch, smooth side grips, and lightweight at just 40 g giving your palm the right and most comfortable feel. In addition, its design caters for both right and left-handed gamers. With its 2.4 GHz wireless connectivity, this mouse gives you a wide frequency area with great speed and less lag. Together with link-5 compatibility, Star Wars Special Edition has the capability of connecting up to 5 accessories compatible with HP hence freeing up your system’s USB ports. This gaming mouse is compatible with XP/Vista, 7, 8, and 10 Windows versions. ZOWIE ZA13 gaming mouse by BENQ offers great versatility when it comes to grip with both palm and claw grip capabilities and is designed for both left and right-hand gamers. In addition, it features impressive performance thanks to its excellent DPI and polling rate. ZOWIE ZA13 features a dual grip design giving you the liberty to choose from palm or claw grip to give you full control. It comes with two thumb buttons on either side to cater for both left and right-handers and lifts of the pad between 1.5mm and 1.8mm to deliver excellent optical sensitivity. With its DPI adjustable upward from 400, 800, 1600, to 3200, you can get just the right DPI rate for any function. Its adjustability extends to its polling with a rate of 125, 500, and 1000 Hz. 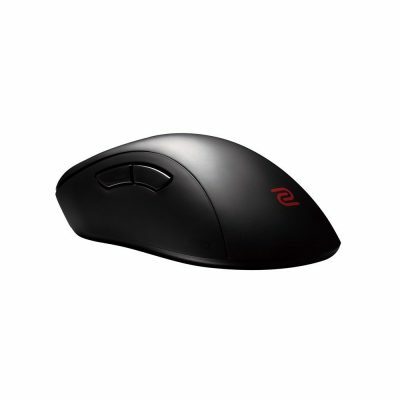 ZOWIE comes in three sizes and ZA13 is the smallest compared to ZA11 and ZA12. It is compatible with Windows 2000, XP, VISTA, 7, and 8 operating systems as well as MAC OS X. 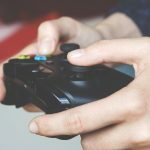 Two remarkable features stand out at the mention of Logitech’s Pro gaming mouse, its great performing Pixart PMW3366 optical sensor and the metal spring button tensioning system which enhances click performance. 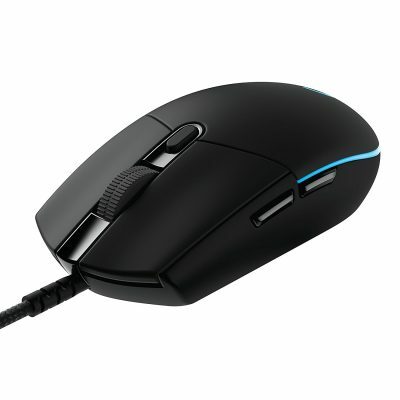 The Pixart PMW3366 optical sensor in the G Pro features in most of Logitech’s gaming mice. 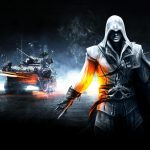 It is one of the few that delivers exceptional tracking for both FPS and MMORPG games. This sensor comes with a DPI range of between 200 and 12,000 giving it a high sensitivity and speed hence eliminating instances of acceleration and filtering. Further enhancing its performance is the metal spring button tensioning system which makes clicks a fast and easy affair. Secondly, it comes with 6 programmable buttons allowing you to map your game commands and a mouse onboard memory to store them for use wherever you go. Its RGB spectrum is one to behold with 16.8 million colors to choose from to set up your profiles. However, you will have to download Logitech gaming software in order to use its LIGHTSYNC system to turn on and control light effects. The DeathAdder Elite is a great gaming mouse equipped with most of Razer’s own advanced technologies including the Chroma lighting, mouse switches, and the Razer Synapse 3 (Beta) software for mouse configuration purposes. Well, it has lived up to its promise to deliver an overall optimized performance. The DeathAdder Elite by Razer is designed with the advanced 5G optical sensor with up to 16000 DPI rate and 450 IPS tracking for an incredible speed, resolution precision of 99.4% and much less acceleration. Its ergonomic design features a right-hand capability, Razer™ mechanical mouse switches mapped out for faster response during long gaming periods, two rubber side grips for utmost comfort and enhanced hold, as well as tactile scroll wheel to put you on top of your game. In addition, this mouse comes with 7 programmable buttons and Razer Chroma’s 16.8 million customizable color options allowing you to map your own profiles with your favorite color effects. The DeathAdder Elite works with the Beta version of Razer Synapse 3 software for easy configuration and boasts an admirable 50 million clicks durability. Finally, it has a 1000 Hz polling rate for an even better gaming experience. Abyssus gaming mouse is built for maximum comfort and performance. It features Razer’s Synapse for configuration and tactile buttons for an easy gameplay. The lightweight Abyssus gaming mouse is a great option for those looking for simplicity and comfort with great performance. Its optical sensor rates 3500 DPI and a 1000 Hz polling rate to deliver reduced 60-120 IPS / 15 g acceleration, reduced lag, and an enhanced performance. It features an ambidextrous design to cater for both left and right-handers. Beyond this, its tactile buttons, the quality built scroll wheel, and rubber textured side grips, this mouse gives you complete control of your game. Abyssus has 3 programmable buttons each with 5 million clicks durability to help you customize your profiles. It comes enabled with Razer Synapse with cloud memory for all your commands storage. The bright green LED backlight you can play your game in just any light situation. 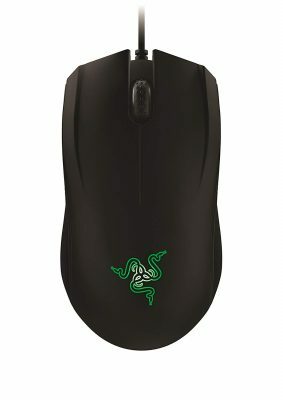 This 80 g mouse is compatible with Windows 10, 8, and 7 versions as well as Mac OS X.
Razer’s Orochi is an excellent gaming mouse with high versatility features. Razer Orochi gaming mouse comes with impressive versatile features to cater to a range of preferences. An integrated Bluetooth 3.0 capability lets you use it flexibly with your laptop on the go. Otherwise, opt for its wired connectivity which is equally convenient. This mouse features a 4G laser sensor with a 6400 DPI rating to deliver better accuracy and precision with up to 100 IPS tracking. 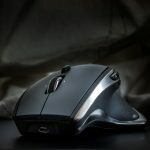 An ambidextrous form factor that caters for both left and right-handers, as well as claw, finger and palm grip styles, is the best thing an ardent gamer would wish for in a mouse. 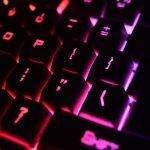 It also features a bright green lighting on its scroll wheel like Razer’s Abyssus and uses Razer Synapse with online cloud support for its configuration functions. There is definitely a huge difference between a regular mouse and a superior technically advanced gaming mouse much as they both work the same way. Pro gamers know all too well that to be on top of their game a great gaming mouse is essential. Like in all other hardware, there is never a one-size fits all mouse. 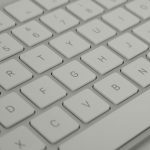 Make your selection based on your desired DPI range, Polling rate, number of programmable buttons, ergonomics, and other features that are worth your attention.